The new faceplate is obviously different, and it says “Mk 3” in the top-right corner. I don’t know whether this makes any practical difference, but it looks a bit neater. The new modem is also a different model from the old one, although that difference is more subtle. According to A&A, BT have supplied 2 different models, and that matches my experience: my 2011 modem was a Huawei EchoLife HG612, and my 2015 modem is an ECI Telecom – B-Focus. 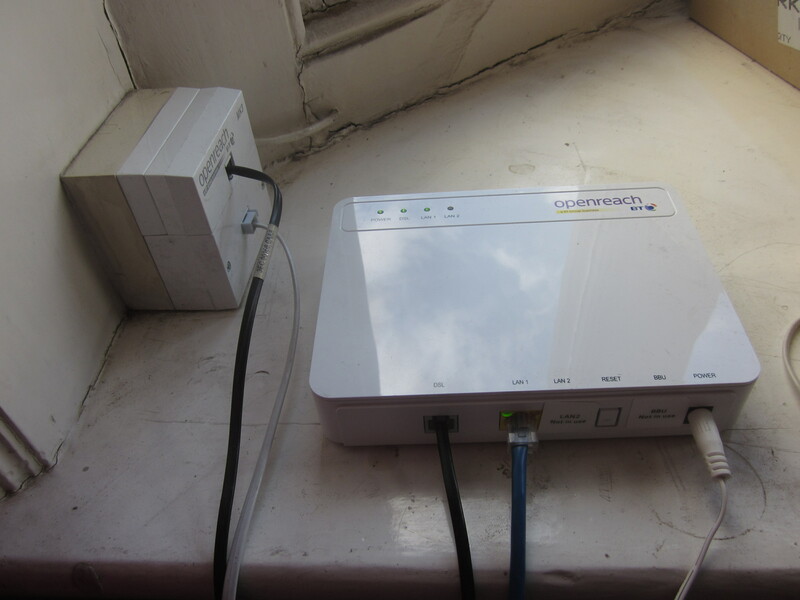 The Register mentioned that BT were replacing several modems in 2012 due to a fault in the older models, so that may explain it; so far (after six months with the new modem), I haven’t noticed any difference. In this case, I didn’t have to pay anything: the modem is BT’s endpoint (CPE = Customer Premises Equipment), so it’s their responsibility to fix that. However, that’s going to change. ISPreview have more info about this: BT will stop supplying modems for new installations as of 2016-01-01, and they’ll stop replacing existing modems after 2017-01-01. I assume that if you already have a modem, they will let you keep it rather than reclaiming it. Adrian Kennard has written a couple of blog posts on this topic (FTTC: Wires only or not wires only? and BT losing plot on FTTC), and I share his concerns. In a situation like mine, if BT can’t connect to the modem then it’s up to them to fix it, whether it’s a problem with the modem itself or the cables that run between the modem and the exchange. Either way, they can verify the problem from their end before they send someone out. However, if I use my own modem then tech support are likely to point the finger at me and blame my equipment. They might be correct, but I don’t really want to go out and buy a new modem if it turns out to be a problem with their fibre optic cables. So, if you are thinking about upgrading to VDSL, you may want to do it in the next few months (i.e. in 2015 rather than 2016). 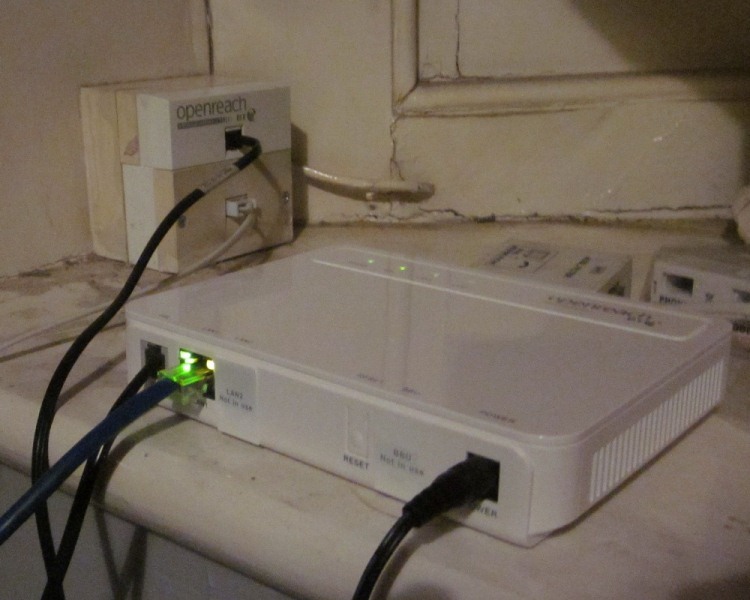 If you’re already using your own VDSL modem (e.g. one that’s integrated into a router) then I recommend testing the old BT modem at some point during the next year; that way, if it has any problems, you can still claim a replacement. Either way, you can keep the BT modem as a spare, and use it to help you with any troubleshooting.